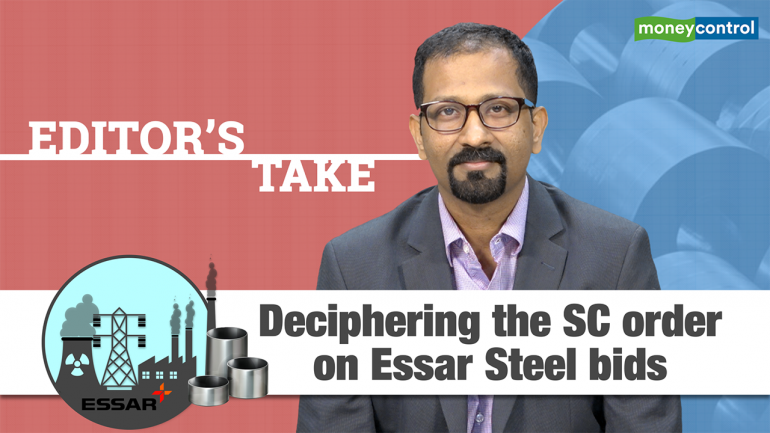 Anchal Pathak is in conversation with Moneycontrol Bureau Chief- Prince Thomas to know more about what the new NCLAT order means for Numetal's bid for Essar Steel. In a significant departure from the previous order given by the National Company Law Appellate Tribunal (NCLAT), the Supreme Court on Thursday said that Numetal's second round bid for Essar Steel was ineligible. It further asked both Numetal and ArcelorMittal to clear dues to become eligible to bid for Essar Steel. The companies are supposed to clear out their dues within the next two weeks. For more, watch Anchal Pathak in conversation with Moneycontrol Bureau Chief- Prince Thomas, who talks about what the new order means for Numetal.